Welcome to Salta Bounce Houses of Georgia! 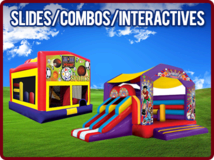 At Salta Bounce Houses, our mission is to deliver fun. Bounce house rentals are taking the world by storm. People often don't know what to call them though: bounce house, moonwalks, jumpers, bouncers, or even a kids party inflatable thing. We call them fun and we have a great selection. 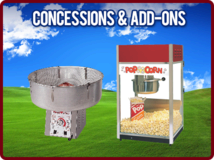 We also have inflatable slides, water slides, chairs, tables, generators, and concessions including: popcorn, and cotton candy machines. So whatever you want to call them...give us a call or reserve on-line and we promise a great time. We drop off, set-up, and pick back up to all of metro Atlanta and surrounding areas, so you are free to do other important things. Free delivery for Covington and Conyers locations. We offer same day and next day delivery. 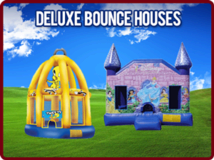 For your next Bounce House Party, think of Salta! Salta really wowed us with their customer service. They are the go to jump house company! They really made our lives easier by delivering the fun to our kids.